Stan Simon & the Hotel Bible "The Forgotten Train"
Stan Simon & the Hotel Bible released "Desert Line" back in 2014, and now that track has found a home on the Toronto musicians' latest LP Ruins, which is due out later this month. Following up the previously shared track, Simon and his backing band are ready to unveil a new song called "The Forgotten Train." The forthcoming full-length hears the Americana-tinged, indie rock collaborator pairing up with producers Josh Korody and Dennis Patterson. The sound draws its influence from all aspects of Simon's musical experiences to date — from playing in post-punk outfit Neon Windbreaker, to working with artists as diverse as Dilly Dally's Benjamin Reinhartz, Jill Barber's Drew Jurecka, Weaves' Zach Bines, the Mohrs' Max Trefler and the Holy Gasp's Sebastian Shinwell under the collective umbrella of the Hotel Bible — all woven together with a captivating cinematic quality. "The Forgotten Train" is no different, implementing a twangy, film noir-esque sound to showcase some particularly dark subject matter. "This song is about a metaphorical abandoned train that represents a way out for those who feel imprisoned by abuse, addiction, difficult relationships, death and depression," Simon tells Exclaim! "It is about a path to take on a train that embodies the journey anyone can take to change their lives for the better and embark upon a transformation that will, at times, be arduous. The lyrics go into detail by describing the journey with windows being smashed by oncoming trees, rising smoke and a bridge that is cracking under the weight of the train during a deafening storm. The train won't break. Not if you don't let it." Inspired by instances of people in his own life who have overcome or are working to overcome their demons, the song serves as an offering of encouragement in the midst of a battle that can often feel hopeless and alienating. Ruins is due out on May 27. Before it lands, listen to "The Forgotten Train" in the player below. 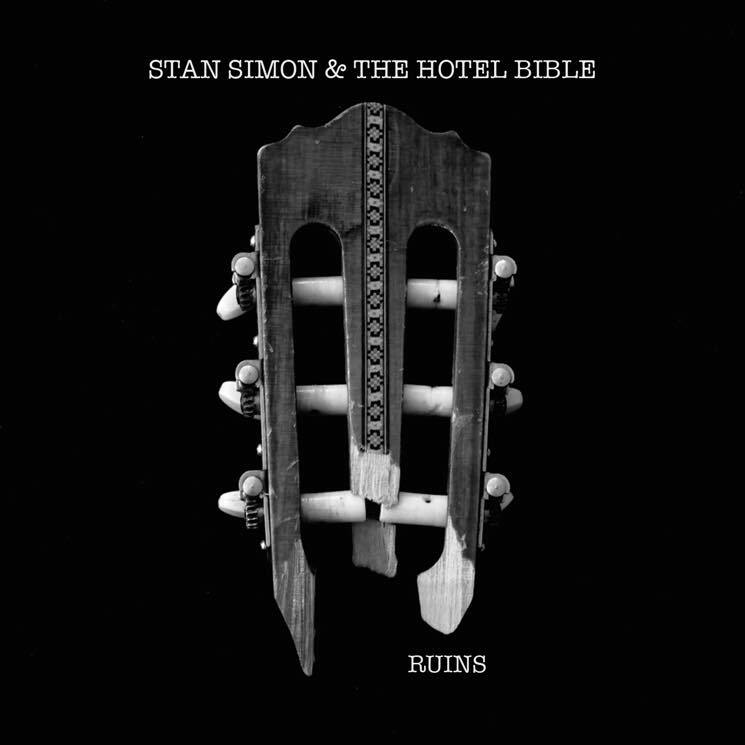 Stan Simon & the Hotel Bible "The Desert Line"